By now, you’ve probably heard more than you ever wanted to hear about the critical Intel security flaw known as “Spectre.” The flaw is massive in scope and scale, impacting every chip that Intel has released over the past decade, and if exploited, would allow a hacker to take complete control over the vulnerable system. Needless to say, once discovered, the company got to work right away on a fix for the issue. As it turns out, things were worse than expected. 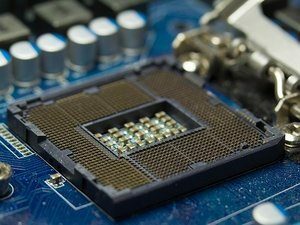 Intel’s first attempt at patching the issue can only be described as a catastrophic failure, causing updated systems to spontaneously reboot multiple times a day and ruining performance. The problem got so bad that the company formally recommended not installing the patch and waiting for a better one to be developed. That better patch is now available, and has been extensively tested to avoid the problems that plagued the release of the first patch. If you’re running a machine that uses Intel’s sixth, seventh, or eighth generation processor (Kaby Lake, Coffee Lake, or Skylake), or if you’re using a machine running an X-series processor, you should have already received the update via OEM firmware push. If not, now is the time to grab it. While it’s true that we’ve seen worse bugs and flaws than Spectre, this is as bad as anything we’ve seen recently. Given how many Intel-based machines there are out there in the wild, the problem posed by Spectre couldn’t get much bigger. Don’t leave yourself vulnerable. Get the update today.